Known for his kind, affable nature, indie star Tim Walker shocked and astounded in his black-as-pitch tour de force performance in Red One Theatre Collective’s production of David Mamet’s Edmond, a brutal portrait of a disturbed man battling the world. We talked to the Outstanding Actor nominee about what he’s been up to since last year’s series and how he left his good nature behind to sink to Edmond’s level. 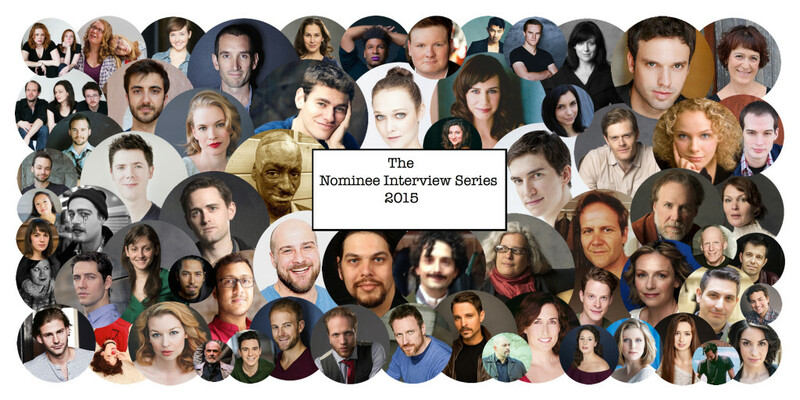 Catch us up on what you’ve been up to since we last spoke for the 2014 Nominee Interview Series. In the last year I worked on several projects with a mutli disciplinary company called: the vasari dance project also filming The Village Green with my good friends Danny Pagett and Colin Munch. Working on Edmond, obviously, and a brief stint @ 4th line theatre. Your MyTheatre Award nomination this year is for your performance in Edmond. What were some of the biggest challenges of taking on Mamet? The biggest challenge with doing David mamet’s work I think is always the rhythm. Sometimes being an actor in David Mamet’s work is akin to being a drummer in a math rock band; the turns are so quick and the counting is so bizarre but it is the natural way of relating how we think and talk. Our synapses fire much faster than we “think” ….get it? … oof, sorry, bad. I should be PUNished. ….. I’m so sorry. 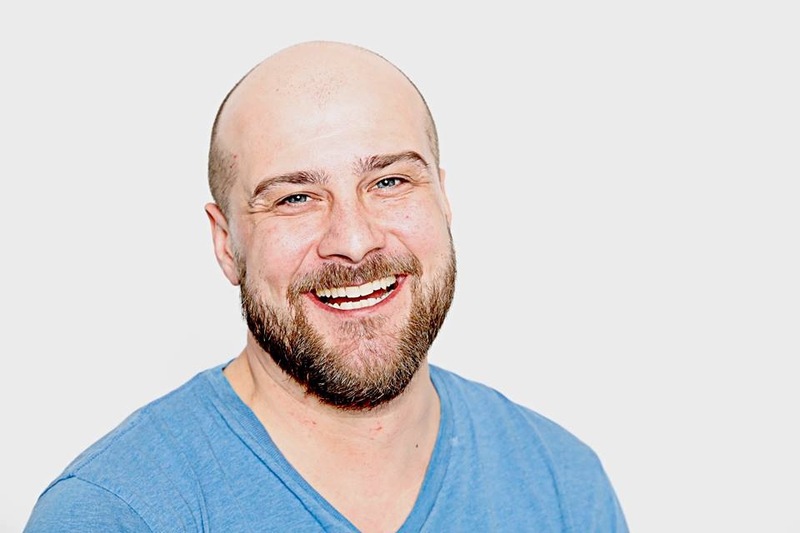 You’re generally considered one of the nicest guys in Toronto theatre and that’s a quality you often bring to the stage with you. Did you struggle at all with letting Edmond’s darker side take over? Thank you for saying so, that’s very kind. There are often times when I am crippled by my own insecurities and assume that everyone just hates me. [That feeling] usually comes up when I can’t remember someone’s name, which is daily. What was your perspective on the psychological journey the character goes through to reach that surprisingly happy ending? I hate to say that I didn’t really have a perspective on the psychological journey I tried to keep myself a blank slate. I allowed it to kind of happen to me every night so I didn’t really sit in any kind of judgment of Edmond. I didn’t think that much about whether he was a good or bad person or whether he deserved this. Edmond plays out over 23 little vignettes. Which were the ones that really stood out to you as the key moments for the character’s growth? What were some of the most interesting conversations you had with director Benjamin Blais in developing your interpretation of the role? Ben really encouraged me to fight him on things, to stand firm on my convictions with the character. But as it turns out we pretty much agreed on everything about the track of this character and the world they lived in. That’s one of the reasons I love working with Ben Blais: his instincts are as strong as his convictions. Edmond had a really large ensemble. Tell us a bit about working with your co-stars. Call your mom once a week. And thank you so much Kelly for putting your passion into shedding some light on the passion of others.